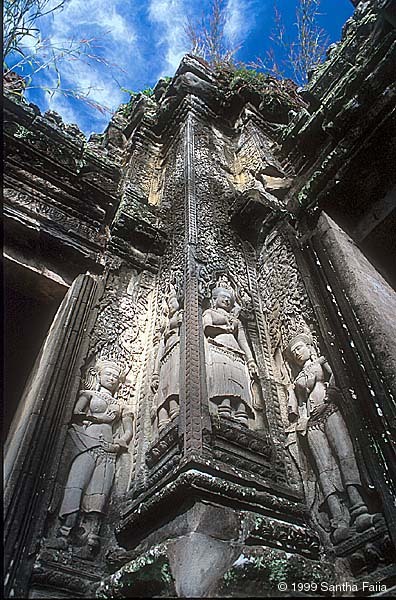 Ground and sky at Angkor. 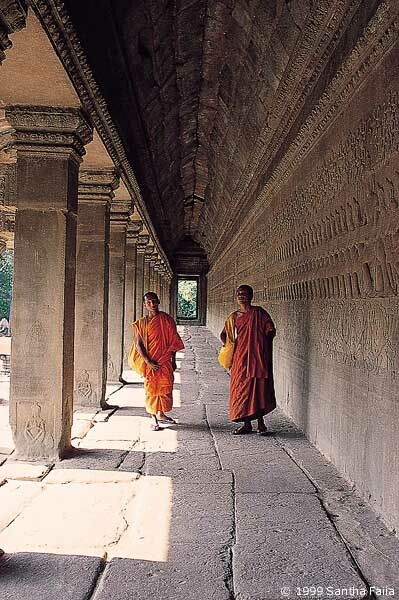 The architecture of the Temples seems designed, like the Pyramids of Egypt and of Mexico, to draw the eyes upwards and encourage contemplation of the heavens. 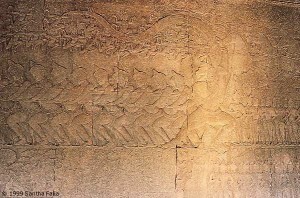 Buddhists monks walk slowly past the relief of the 'Churning of the Milky Ocean' on the walls of the eastern gallery, Angkor Wat. 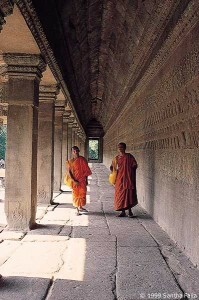 The temples are designed to teach spiritual knowledge as one traverses their interior. 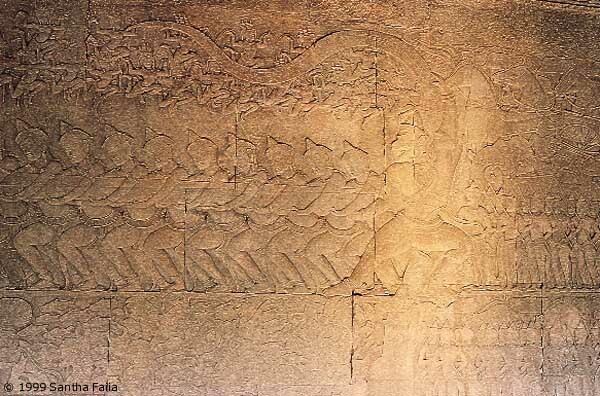 King Jayavarman VII, the monarch of Angkor from AD 1181 to 1219, shown on horseback in this bas relief from the Bayon. 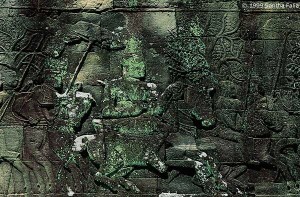 The monkey god Hanuman, leader of the Devas, grasping the tail of Vasuki, the Naga serpent King. 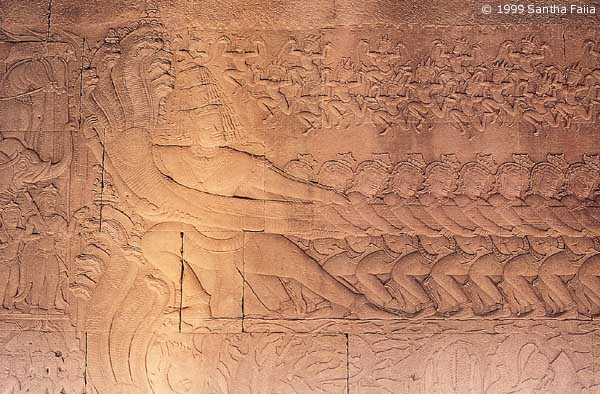 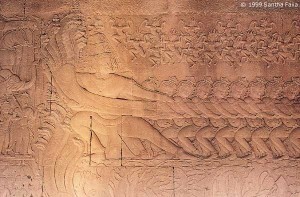 The figure of a gigantic demon pulls mightily on the body of the five-headed Naga King Vasuki. Angkor Wat. 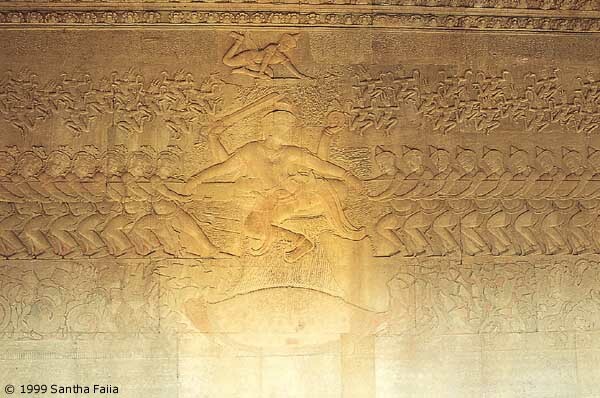 Vishnu suspended beside Mount Mandera, grasping Vasuki's body. 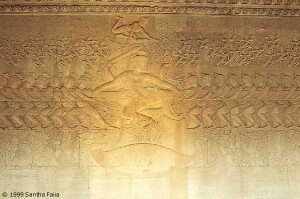 Compare with image 9 in Egypt Gallery 4.